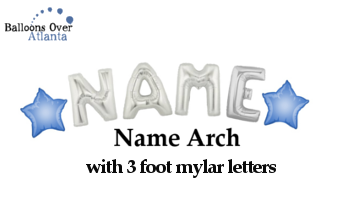 Balloon arches are used as decorations for all kinds of events and special occasions. 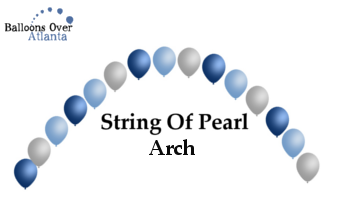 The uses of a balloon arch are as varied as the colors and styles they come in. 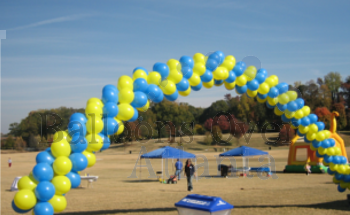 Balloon arches are used as decorations to enhance important areas of an event. 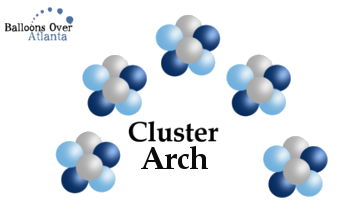 They are placed over registration tables, head tables and food tables. 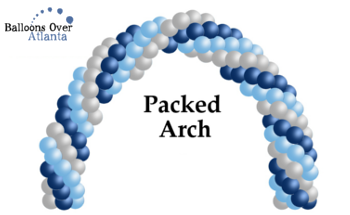 We’ve designed balloon arches for stages, dance floors and outdoor events: picnics, festivals, or carnival entrances and much more!!! 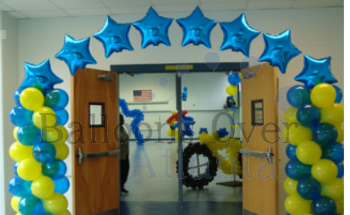 Balloon arches are an effective and efficient way to create a colorful opening while setting the mood for any special occasion. 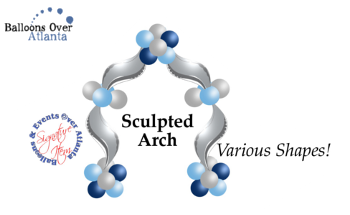 There are various types of arches: cluster ball, packed spiral, string, sculpted, single, zigzag, letters and peacock. 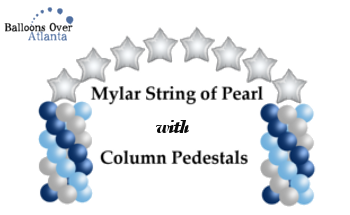 One of them is bound to be perfect for your application and will add festivity, drama and show the way. Ask our event professionals about a balloon canopy for your next event! 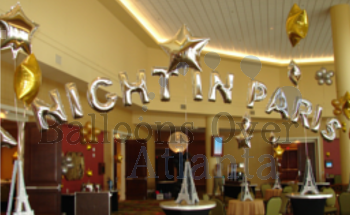 Balloons Over Atlanta has an extensive background and proven track record of working with events of all sizes and shapes, and will work with you, using your ideas or create a special design that will compliment your function, theme, or special event.